Everyone has an opinion about adblocking – and anyone who doesn’t will soon have more to think about. Later this year, Apple’s iOS 9 and OS X 10.11 will enable developers to add extensions that will block ads in Safari (and – some think – other apps that use Safari’s webview). Earlier this month, Google’s CEO Larry Page was asked at the company’s annual general meeting whether the use of adblocking was having any effect on Google’s revenues (90 percent of which come from Web ads). Page dodged the question, though PageFair – which represents publishers – calculates that Google is losing about $6.6 billion per year globally through lost chances to show ads to people. A PageFair report last year placed monthly users of adblock tools at 144 million, up 69 percent over the previous 12 months. A Reuters Institute study published this month found that 39 percent of people in the UK and 47 percent of people in the US had installed ad-blocking software, rising to 56 percent and 55 percent respectively in the 18-24 age bracket. The concern is that as adblocking software gets easier both to install and use, usage will grow relentlessly, and organizations reliant on adverts, particularly in publishing, will be hard-hit. Those in publishing often reach for words like “immoral” when discussing adblocking; indeed Martin Bryant, Editor-in-Chief of The Next Web, used precisely that word in a recent post about it. Casey Johnston, also a journalist, tweeted that using adblocking is like answering the phrase “Occasionally I meet a person don’t like” with the response “Here, carry this machete and behead every human you see.” Journalism professor Jeff Jarvis called Apple’s forthcoming adblocking enablement “deadly (and wrong)“. The reason why journalists and publishers get upset about adblocking is simple: if people don’t view ads on a site, the site doesn’t get money; in time, it’ll go out of business. Here’s the thing, though: people who use adblocking already know this. Or if they don’t, they won’t budge even when it’s explained. I’ve seen dozens of arguments between blockers and those sympathetic to publishers; it never, ever ends with the blocker saying “I hadn’t thought of that. I’ll stop doing it.” Instead, they offer a variety of reasons for why their use of adblocking is entirely reasonable. The ads are too annoying; they use up machine resources; they can carry malware; they’re distracting. Pick as many as you like. Add more if you want. The anti-blockers say that using them is parasitic; it will have long-term effects which might be even worse; that (in the case of Adblock Plus) it diverts money to non-publishers (as that service takes payments to whitelist some adverts). It remains a dialogue of the deaf. Why? I was driving along a motorway listening to an episode of Exponent with James Allworth and Ben Thompson in which they were talking about this topic. Like pretty much everyone else on the outside three lanes of the four-lane motorway, I was over the speed limit. And what happened? Nothing. I carried on going above the speed limit. Many of us that day were breaking the law. And nothing exceptional happened. No police stopped us. We broke the social compact – the one about obeying most laws – without compunction. None of the people on that motorway that day had an accident there, so is speeding harmless? It’s also a fact that around one-third of car accidents can be ascribed to excessive speed. 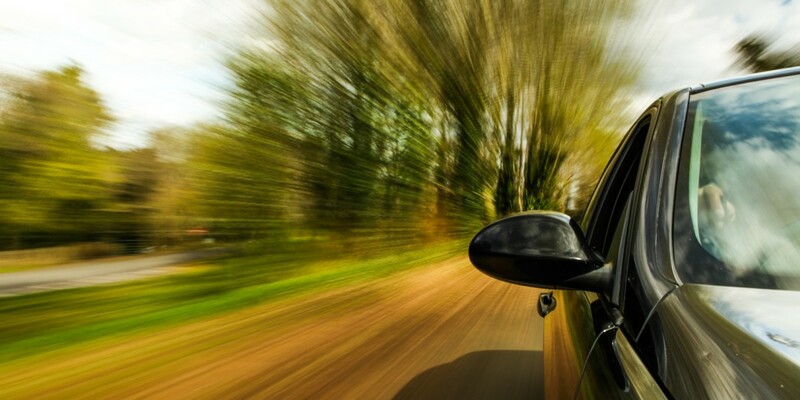 Going too fast is highly correlated with accidents. Yet we ignore it. And we speed. Adblocking is the modern speeding. Somewhere, we know it’s probably not right. But when we’re doing it, we have lots of good reasons why it’s fine to speed. I’m in a hurry; nobody gets hurt by my exceeding the 70mph limit (the UK’s motorway upper limit) by 10mph or so; I’m a better driver than the speed limit was designed for (everyone rates themselves above average at driving); those other people are doing it too; people who don’t do it don’t get any benefit I can see. Unless you get caught or have an accident – both amazingly rare, compared to the number of people who do it – it’s a victimless crime. Similarly, there’s no retribution for adblocking. Nothing happens when you do it, except you get a better experience. Ditto for speeding: you get where you’re going sooner. In this scenario, the publishers and journalists are the residents of the suburban street that has been turned into a cut-through: cars keep speeding past, ignoring them and their entreaties. Worse, the cars are driving too fast, and they pose a risk. But nobody can point to anything definite yet. And the car drivers certainly won’t – they’re too busy driving past. This sort of mental mapping also explains why people who use adblockers aren’t interested in what the publishers or journalists say: just as when you’re in a car, cut off from the world with the radio turned up loud, the complaints of the people standing on the pavement really don’t impinge on your world. The two sides of the argument are cut off from each other. The speeding driver in their air-conditioned car, the adblocking reader at their desk, are both in essence the same. Publishers and advertisers need to find the online equivalent of road calming too. It’s probably going to be content that’s so compelling that people don’t want to block it. Maybe it’s viral adverts?